k. simari - awwwwwww! omg he is so cute! it is amazing how fast it happens!! I love the selection of pictures. awww! he is such a cutie. Meg - Too sweet! Thanks for sharing him with us Kern Family! Dennis santspree - Happy First Jaylen! kristy pennino - he’s having his cake and eating it, too! happy birthday, jaylen. Mandy Bee - Time flies! Such cute cute pictures! Happy Birthday, Jaylen! Kenny - YAY! That is awesome! Congratulations and Happy Birthday Jaylen! JT Sodaro - He is so cute!!! GIve him a big hug and kiss for me!! Happy Birthday Jaylen!!! Uncle Volker - Jaylen is just too cool. He doesn’t let anything get him unraveled. Congrats. LOVE Hopes typography on the balloon. Priceless! Starla - Happy Birthday Jaylen. I thought his birthday is October 14. Same as my mom!! I can’t believe it’s been a year!! He is getting so big…. YEah!!! Erica - Serious case of the cutes, your kids! Gampfer’s - What a beautiful web page. He is so cute and looks just like his daddy! Happy Birthday! Thank you so much for sharing this with us. Lorena - wow.. 1 year already, time does fly. Happy happy bday Jaylen.. he is soo cute. Michelle - looks like he had a wonderful day! 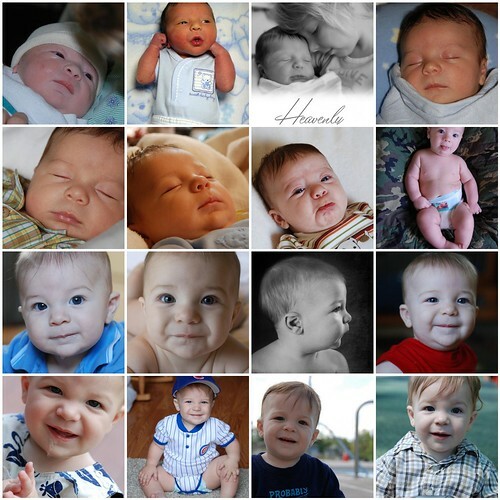 he’s growing up so fast – he’ll be two before you know it! Joe Saraceno - hi, love your book! I’m wondering if you can help me; I made a book with blurb but didn’t like the templates available in booksmart. If I create my own text and image layouts in photoshop, how do you import them into book form in booksmart? Tanya - I can’t believe he is growing up so fast. As I had said a while back in a e-mail it just seemed like yesterday I was holding him as a newborn!. I sure wish I was healthier and in a better condition with the job situation etc that I could have been down there. I sure do miss them. I look at the pictures and hear their giggles and wish I was there. It makes me happy and sad. Hopefully things will turn around fast. Give them both hugs and kisses from me and Ashley and tell them that we love them and wish we could be there. Love you guys! 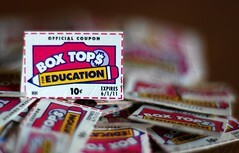 Send us your box tops!